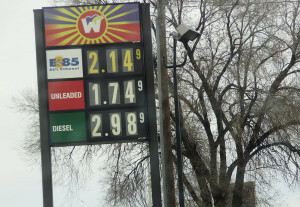 Recent gas prices in Colorado Springs were among the nation’s lowest in decades. Although falling gas prices have some doing a happy dance at the pump, the truth is much more sobering. Lower pump prices are only a temporary opportunity for the industrial world to burn more fossil fuel, exacerbating global warming and accelerating the depletion of finite oil reserves. In other words, people will drive more rather than continue to conserve. Increased consumption is killing us. There’s even a term for it – The Jevons Paradox. In 1865, British economist W. Stanley Jevons wrote a book, The Coal Question, about the sustainability of Great Britain. Britain’s emerging industrial dominance was completely dependent on burning coal. Jevons wondered about the wisdom of relying so heavily on a finite resource like coal. What would happen to England when the coal ran out? Could better steam engine efficiency stretch coal reserves, allowing England to stay on top longer? Should the government impose conservation measures? Jevons’ research uncovered a paradox: the more efficient steam engines became, the more coal was burned. The cheaper the energy source, the more people used it. Instead of stretching the coal reserves, Brits would use them up even faster. 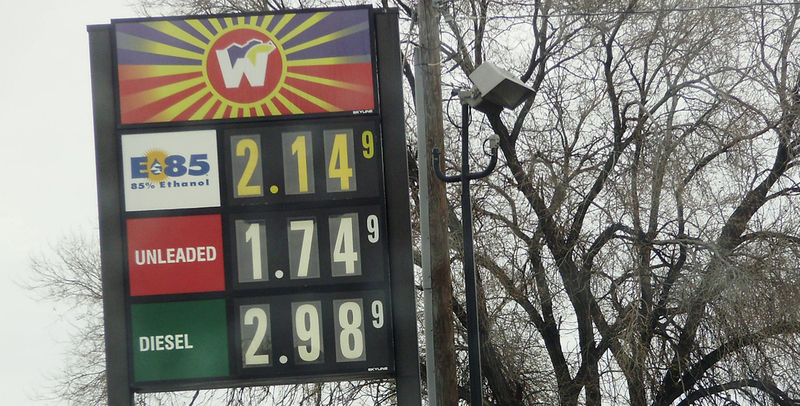 The Jevons Paradox has a lot to say about why falling gas prices will kill us. To understand this better, let’s take a quick look at the dominant fossil fuel of the last century: petroleum. Like any resource, oil is subject to the laws of supply and demand – an economic theory generally accepted for the past 700 years. Prices are determined by the intersection of supply and demand. Plentiful supply tends to drive prices down. The scarcer the resource, the more likely its price will rise. The price of oil changes daily, depending on how supply and demand intersect. Pricing is complicated by no less than four global forces: geology, technology, politics and economics. Geology refers to where in the world oil can be found. Technology usually impacts how much it will cost to extract that oil. A big part of the current drop in oil prices has been hydraulic fracturing technology – “fracking” – which has allowed American producers to extract previously unreachable oil reserves. So more is available. Bigger yet is politics. Global energy prices are hugely impacted by the 12 oil-exporting countries of OPEC, led by petroleum giant Saudi Arabia. For decades, Saudi Arabia has affected the price of crude oil by cutting or ramping up production. More supply, price edges down – less supply, higher prices. To put this in perspective, oil prices topped at more than $100 a barrel in 2008 and fell to less than $50 a barrel last year. Pump prices broke the $1 per gallon mark in the late 1970s; they are now back below $2 a gallon. The final global market force is economics. The past five years of global financial crisis and recession have led to shrinking economies. Consumption is down – good news for people who care about the planet; bad news for corporations. Energy demand is down in Europe and Japan, pressing prices downward. The term of which to take note is “peak.” Peak Oil refers to the top of a bell curve. Beyond the peak, oil reserves – or our ability to access them cheaply – are on the decline. Oil becomes permanently more scarce every year. This does not bode well when examining the graph of oil consumption for the past 50 years. Americans were consuming 11.5 million barrels of oil a day in 1965. Consumption is now hovering around 19 million barrels a day. In 1965, the U.S. produced almost 8 million barrels a day and consumed 11.5 million. That means we needed to export at least 3.5 million barrels a day – keep in mind that not all domestic oil is sold to Americans. The U.S. Energy Information Administration projects that we will produce 9 million barrels a day this year while consuming 19 million barrels. The gap will be 10 million barrels – not the mere 3.5 million of 1965. So even though our economy is shrinking and consumption is down, our overall demand is constantly rising. Add in rising demand from countries like India and China, and it’s quite likely that the days of cheap gas will soon be over – despite the current short-term relief. Heinberg is expecting oil prices to shoot back up in the next year or two. John Hofmeister, the retired Shell Oil president and founder of Citizens for Affordable Energy, is saying pump prices could be back to $4 a gallon by next winter. If Peak Oil – the end of our ability to sustain our lives with petroleum – isn’t scary enough, consider the consequences of Climate Change. Climate change is occurring more rapidly than scientists projected. The burning of fossil fuels only accelerates the greenhouse-gas crisis. This is what Jevons might project: the cheaper gas costs and the more fuel-efficient automobiles become, the more we’ll drive. The more we drive, the more CO2 goes up in smoke. David Holmgren, one of the founders of permaculture, looked at the future of the world through the dual lenses of Peak Oil and Climate Change. In his 2007 book, Future Scenarios, he laid out four possible paths based upon whether Peak Oil would be slow or rapid and, likewise, how fast or slow we would see the impacts of Climate Change. In the unfolding Brown Tech Scenario, Holmgren expects to see climate change-induced natural disasters to bring governments sniffing for more control in the name of public safety. The problem with the Brown Tech Scenario is the inevitable crash at the end. As society invests in squeezing out the last drop of the status quo, it is not preparing for the sudden end of oil. The gradual transition to a sustainable society has been traded for an economic brick wall. The Jevons Paradox becomes everyone’s worst nightmare. Falling gas prices means a brief lull in that fatal collision. People will burn more petroleum and exacerbate climate change. Oil companies will shut down production until demand catches up. Investment in renewable energy – barely on par with fossil fuels in costs – will stall. Even though the scenario presented brings us to the brink, Holmgren (poignant pause) offers a solution – one many permaculturists are actively working on. The answer means rolling up one’s sleeves and building self-reliant, resilient food and housing systems that will survive the collapse of the corporate-owned, fossil fuel-driven global systems. It means bringing the past to the present and reviving the trades, working together and focusing on regional and local economies. Most of all, it means taking heed of the Jevons Paradox and simplifying our lives by producing and consuming only what we truly need. That’s a cultural change we need if we want any hope of a sustainable future.